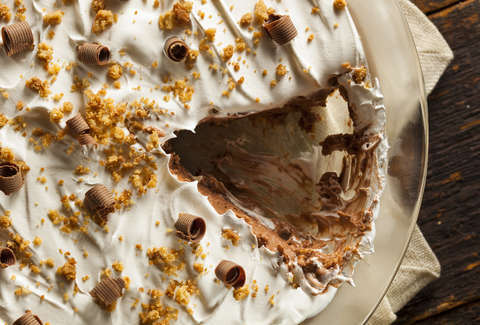 Even if there were no deals to be found, it's ridiculous not to celebrate National Dessert Day on October 14. It's National Dessert Day. You don't need an excuse to treat yourself, but if you do, they're giving you one. Fortunately, you can find deals on sweets for the faux holiday, and tons of those deals are just straight up free treats. Not everything about being an adult is as great as you thought it'd be as a kid, but there are still plenty of perks. You can do what you want. You could eat nothing but dessert for the rest of your life. (Not saying it's a good idea, but it's totally a possibility.) However, if you need an excuse to tell the kids or some other judgmental person, there's no reason not to indulge on a day like this. Here are some of the best deals and freebies you'll find in honor of this sacred day of desserts. The deal: It's not 100% free, but with a $1 donation to the Dave Thomas Foundation for Adoption, you get a coupon book loaded up with five coupons for a free Frosty. The coupons can be redeemed through January 31, 2019. The deal: Drop into the DQ mobile app to find an offer for buy-one-get-one-free sundaes. The deal: Additionally, if you're downloading the DQ app for the first time, you'll get an offer for a totally free Blizzard just for signing up. However, that deal must be redeemed over the first seven days you've got the app on your phone. The deal: Buy an 8-inch or 12-inch sub and get a free dessert at locations across the U.S. and Canada. The deal: If you're new to My Cold Stone Club Rewards, you'll get a buy-one-get-one-free coupon for Cold Stone's Creations. 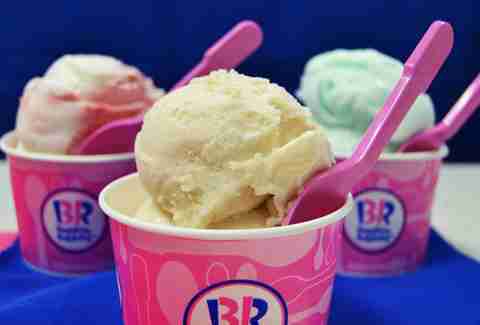 The deal: Everyone gets a free regular-sized scoop when they download the Baskin-Robbins app. The deal: Sign up for the rewards program -- Slab Happy Rewards -- and you'll get a free ice cream. The deal: Sign up for the e-club and you get a free two-pack of croissants or muffins. The deal: Get 15% off Patisserie Dessert Truffle Flights online or at your local Godiva shop. The deal: Grab 10% off your first order after signing up for the email newsletter. The deal: There's no discount, but Krispy Kreme has four special Halloween donuts available right now. One of them is drizzled in salted caramel and crumbled Halloween candy. The deal: Like with Krispy Kreme, there isn't actually a discount. However, you can get Cinnabon cinnamon rolls with your pizza now. Hot damn. An order will set you back $5.99. The deal: Grab a free order of breadsticks when you pick up a medium or large menu-priced pizza. Use the code "BREADSTICKS2018" to get in on the starchy action. The deal: In recognition of National Pasta Month (it's also that), OG is bringing back it's Never Ending Pasta Bowl promo. You can get unlimited servings of one of seven types of pasta, soup or salad, and fresh breadsticks starting at $10.99. 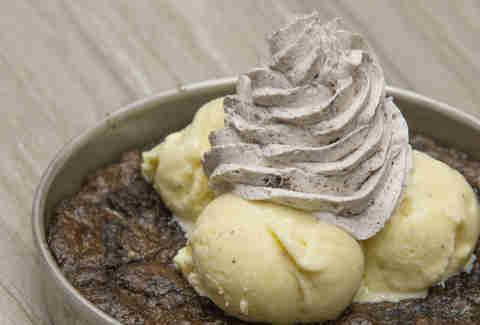 Know of any free dessert deals or discounts that we're missing? Send them with a link to info from the restaurant to news@thrillist.com and we'll add 'em here.